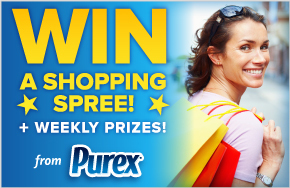 Each weekly grand prize winner will also receive a FREE year’s supply of Purex liquid detergent. Second place winners each week will receive a Kindle eReader. Enter daily for a better chance of winning!